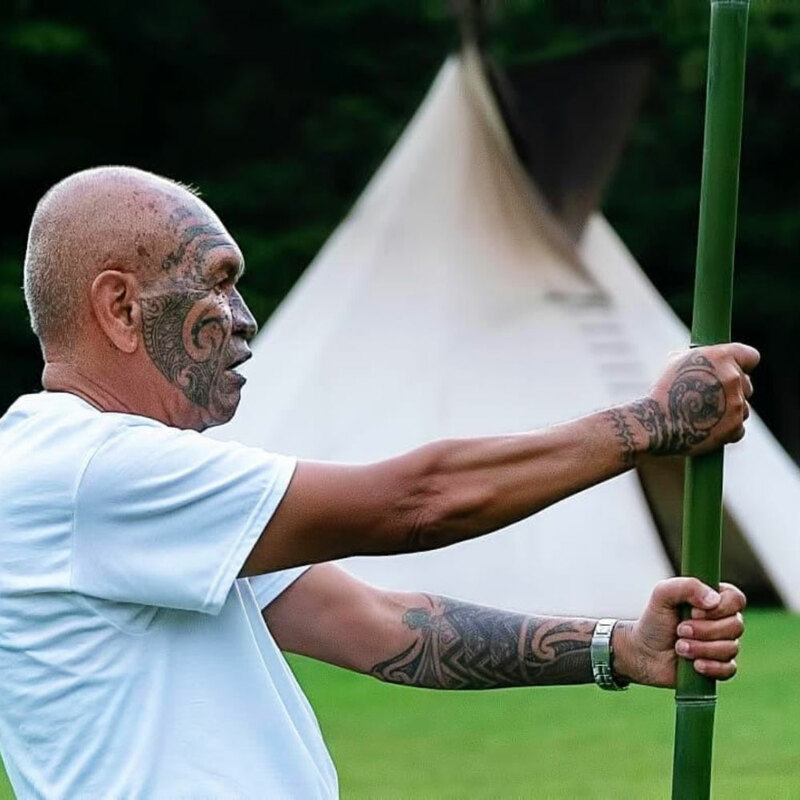 Louis Te Kouarehua Kereopa is a traditional Maori master carver and tutor / graduate from the Rotorua NZ Maori Arts and Crafts Institute. Matua (Uncle) graduated in 1972 with a Diploma of Fine Arts Maori, having spent 3 years under Master Carver Hone Taiapa from Ngati Porou. From 1985 – 1999 he served as a Carving Tutor at two separate carving school: Maraeroa Marae and Taumarunui. His main mediums are Wood, Bone and Omaru White Stone. The movements flow using bamboo lengths, honouring the 7 energies of Nature – i.e. Earth, Wind, Water, Fire, Wood Metal and Crystal. The unfolding flow brings about balance, of Mind Body Heart and Soul..